The EdgeMarc 2900a series add both outbound and inbound analog line (FXO/FXS) support for applications such as PSTN fail-over, fax, and even overhead paging. These devices can be combined with the EdgeView Service Control Center for remote monitoring and management. It is also designed to be compatible with Cloud2Edge Complete, the subscription-based model of Network Edge Orchestration. The 2900a Power over Ethernet (PoE) Intelligent Edge devices are ideal for Hosted PBX applications that require PoE functionality in order to power IP ednpoints. This allows service providers to support locations with less than 12 phones easily with just a single device! The Edgewater 2900Aa series supports up to 300 concurrent calls and adds both outbound and inbound analog lines (FXO/FXS) support for applications such as PSTN fail-over, fax, and overhead paging. 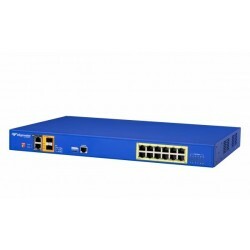 Edgewater Networks EdgeMarc 2900a PoE SBC is ideal for hosted PBX applications that require PoE functionality to power IP endpoints. 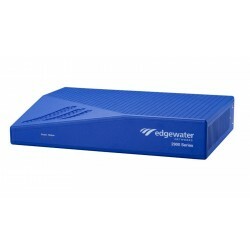 The Edgewater Networks EdgeMarc 2009a series adds both outbound and inbound analog line (FXO/FXS) support for applications such as PSTN fail-over, and overhead paging. 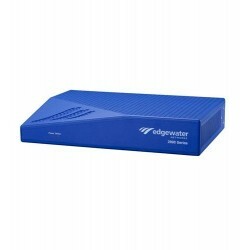 The Edgewater Networks 2900a (2900A-100-0100) contains 100 calls and is field and license upgradeable. Giving you the perfect solution to grow as your business grows.